"The Big City" is a classic crime drama. 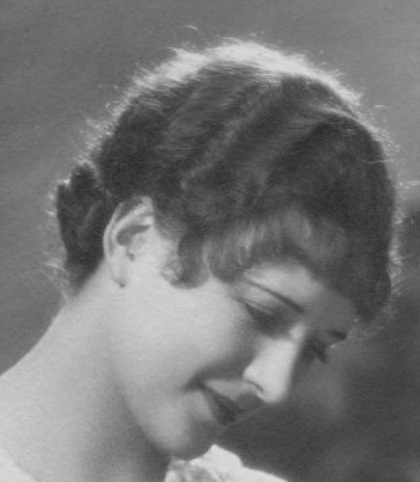 We have included this film in our program to illustrate the work and contributions of our star Marceline Day. The last known copy of the film "The Big City" perished in 1967 in the MGM vaults fire that also destroyed "London after Midnight". 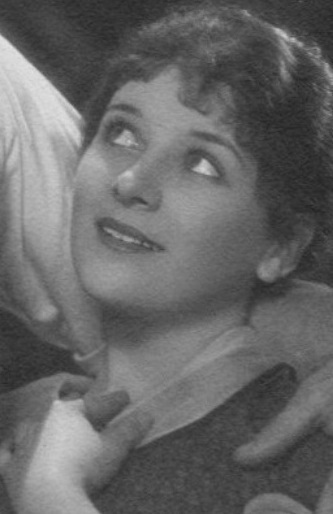 Silent Era lists this film as "survival status: unknown". It is not available for viewing, so we have to rely on newspaper articles from the 1920ies. If you have any information about a surviving copy of the film please let us know. 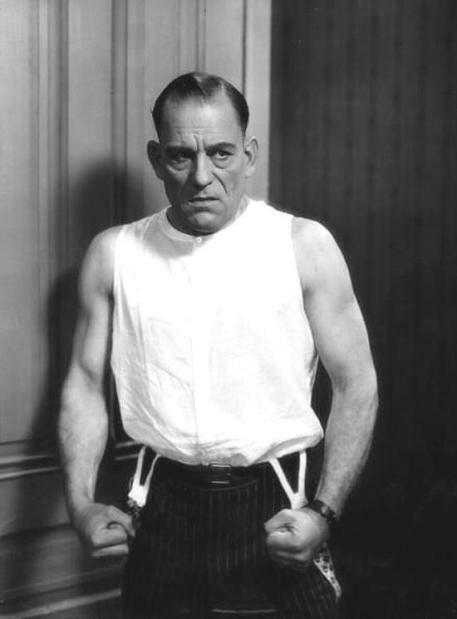 No one in the world can look so 'hard boiled' and menacing as this Lon Chaney and few can look so sympathetic in the very same role. 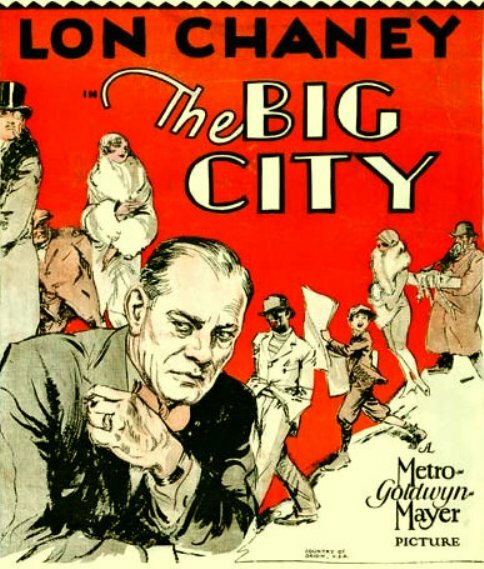 In his latest starring vehicle, "The Big City", Metro-Goldwyn-Mayer's gripping romance of New York's underworld, Chaney plays the role of a hardened detective. And no character could demand more of an actor's histrionic talents. He has to be the very embodiment of the law - and still be as human as anyone else. Few beside Lon Chaney could play this complex role adequately, and of it Chaney has made a masterpiece of motion picture acting. Lon Chaney and Marcelins Day do some fine emotional acting in "The Big City" (1928). 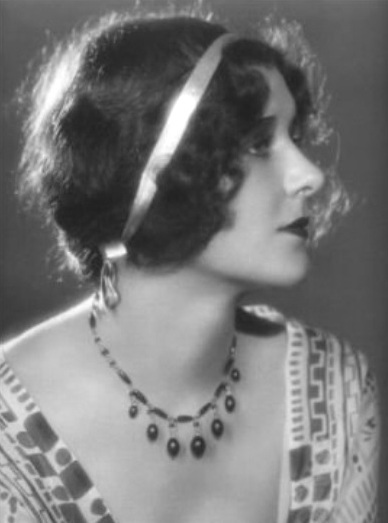 Marceline Day shines brightly as Sunshine in "The Big City" (1928). 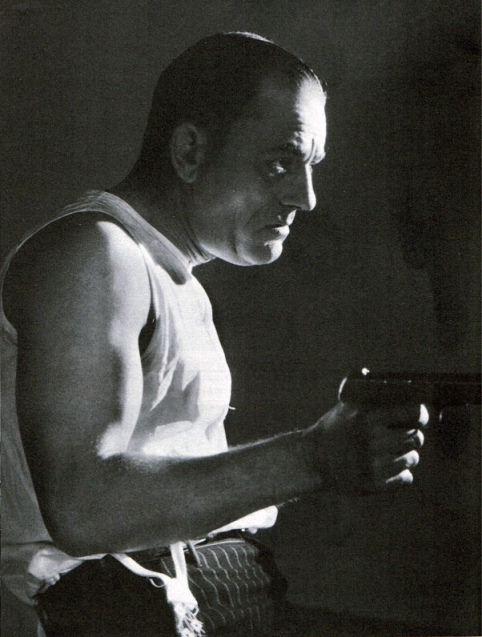 Lon Chaney with a gun in "The Big City" (1928). 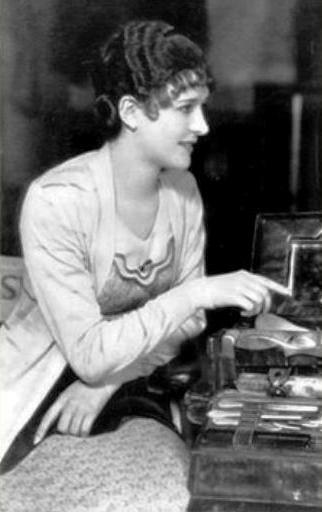 Marceline Day on the set of "The Big City" (1928). A poster for "The Big City" (1928). Lon Chaney is furious in "The Big City" (1928). Director Tod Browning and Lon Chaney on the set of "The Big City" (1928). 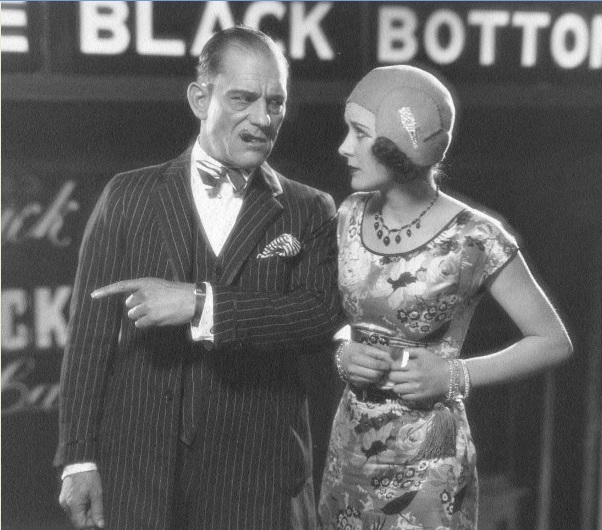 Lon Chaney and Betty Compson in "The Big City" (1928). 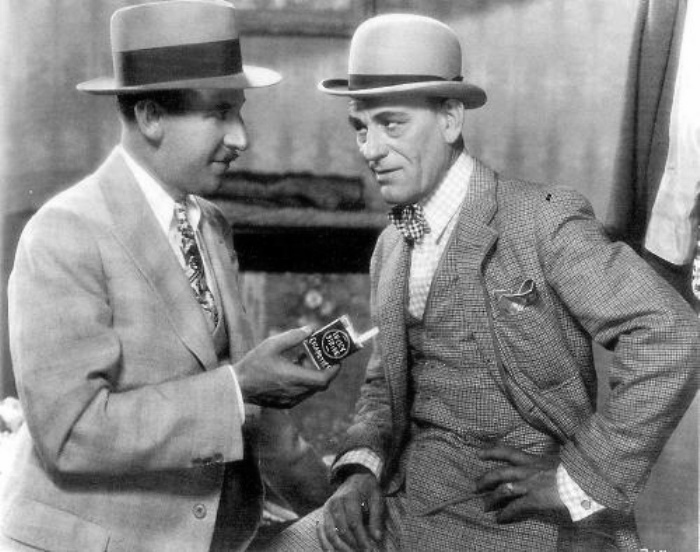 Lon Chaney and Marcelins Day in a scene from "The Big City" (1928).